Designed for Birdwatching and Nature, The Elinor has it all. 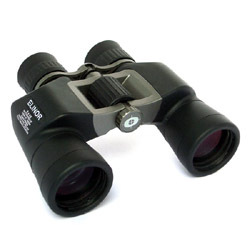 Bak4 prisms, 8x magnification with ultra wide 8.3 degree field of view, provides a high resolution comfortable and incredibly stable image. Using 45mm objectives instead of the usual 40/42mm provides increased brightness, allowing it be used in lower light conditions, yet has a weight of under 900g. All lens surfaces are fully multicoated further enhancing brightness and clarity. Optical Hardware's broad light band transmission ensures incredibly accurate colour rendition. 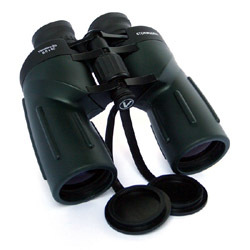 Case and strap included, and if required the Binocular Elinor can be mounted on a tripod.